Kroger fuel points are customer appreciation programs and internet marketing tools that the Kroger Family of Stores offers shoppers who also fill up at Kroger Fuel Centers or at participating Shell Stations. Points begin accumulating once Kroger Plus or 1-2-3 Rewards Visa Cardholders purchase Kroger’s point-eligible airtime and gift cards, groceries, no-contract wireless phones and non-federally funded prescriptions. Each purchase of an eligible gift card contributes twice the expected number of fuel points, whereby $25.00 in gift cards earns the purchaser 50 fuel points. Kroger Plus Card- and 1-2-3 Rewards Visa Card-holding shoppers do not earn points from buying alcohol, lottery or promotional tickets, money orders, postage stamps or tobacco. Since Aug. 1, 2012, 11 years after fuel points’ pioneer launch in Cincinnati, Ohio, each out-of-pocket dollar in new, refilled, transferred non-federal-funded prescriptions earns one point. Kroger Gift Card Mall shoppers find some purchases fuel point-ineligible: American Express, MasterCard, Visa variable load cards; Green Dot, Kroger, Kroger Family of Stores cards; MoneyPaks. Over 100 businesses give purchasers Kroger fuel points from over 320 clothing, digital content, dining out, eGift by Email, entertainment, popular, specialty and travel service-related cards. Kroger Gift Card Mall program participating businesses have lower and upper limits in purchase prices and purchasing power and variable impacts on Kroger fuel point accumulations. Some examples of the lowest range include a $5.00 Advance Auto Parts, AMC, Applebee’s, Brinker International or Buffalo Wild Wings card that generates 10 fuel points. The Home Depot joins Toys R Us, Ulta Beauty, Wicked Good Cupcakes and Wooden Nickel as some examples of the $500.00 topmost range generating 1,000 points. The Kroger website keeps online surveys as a fourth earnings option and as a shopping experience database to refine customer appreciation programs and internet marketing tools. It lets Kroger Plus Card-holding shoppers complete one shopping experience survey every seven days for a total of 50 weekly fuel points and of 200 monthly. Customer receipts and online accounts, accessible by Android iPhone, mobile app and personal computer, mention the most up-to-date tally of Kroger fuel points for that month. Kroger Fuel Center and participating Shell Station pump discount codes, activated by scanning Kroger Plus Cards, notify shoppers of the redeemable reductions in cents per gallon. They offer options for redeeming fully, next time or partially everything from one month in accrued points or the larger of different amounts from two-month accumulations. Friday, Saturday and Sunday purchases throughout May, June and July 2016 permit shoppers to earn points twice as fast since $100 equals 200 points equals $0.20. An example of Kroger fuel points, whose monthly maximum is 100 through Shell and 1,000 through Kroger, quantifies as 200 survey points and $499.99 in groceries. Such scenarios result in 600 points and $0.60 per gallon reductions in April 2016 and of 1,000 points and $1.00 in May, June or July 2016. Codes show $1.00 as Kroger’s per gallon discount for a first visit in May and $0.60 for a second in cases of unused points from April. Kroger fuel points customer appreciation programs and internet marketing tools thank Kroger Plus Cardholders by turning household purchases into savings at Kroger and Shell gas pumps. 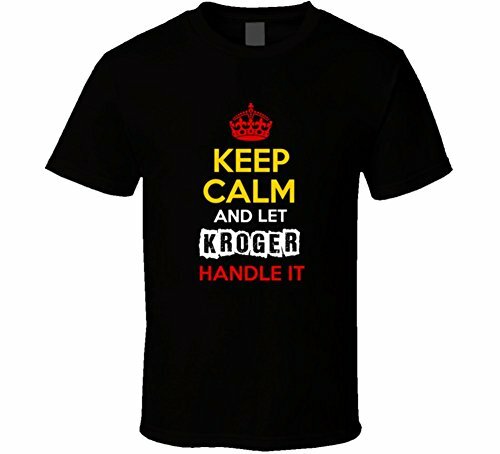 Kroger's offerings of everyday shopping as well as prepared holiday meals (Thanksgiving, Christmas, Easter) allow customers to "Keep calm and let Kroger's handle it!" sandyspider, Thank you! It would be such a customer appreciation move if all places that sell gas would do likewise. Good information on fuel points. Okay, gave this a go, I shop for gas primarily at Costco because they, hands down, have the best price. However I recently went to a Shell station. I was pleased to see I could use my Kroger fuel points. Now it should be noted that I do not shop at Kroger much, I prefer Trader Joes, Costco, World Market and Raisin Rack and yet I pop in Kroger from time to time, my two daughters do as well and we all use our member number when checking out. I get my prescriptions there, just have for years, I'm not much for changing my routine... Anyway I was surprised to learn that I had earned 30 cents off per gallon. YAY, Thanks for the heads up! katiem2, Most important of all is shopping where you get what you want when and how you want it. 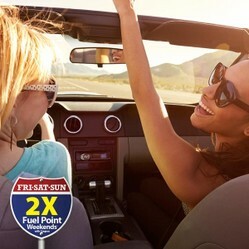 Fuel points work nicely for those who like or need to monitor coupons, discounts, mark-downs and mega-sales since at most they provide one dollar per gallon off once a month at the pump and since they tend to be calculated on the original, not the coupon, discount, mark-down or sale, price of eligible items. I hear people talking about Kroger fuel points, I now know there is more to be excited about. I am terrible when it comes to using fuel points, I am lazy I opt to buy gas at Costco. I don't use coupons and well I am an epic fail when it comes to savvy shopping. I do like to read, learn and try to do better. sandyspider, Great! The fuel prices at Kroger already are competitive with the other stations in the area so a dollar off every month is very nice. Wow, I have learned something new with Kroger fuel points.